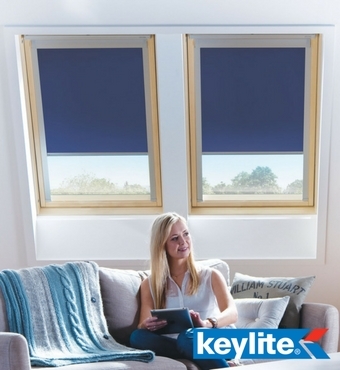 We can offer a range of roof windows from two of the leading suppliers in roof window systems - Keylite and Velux. For more information please speak to your local branch. 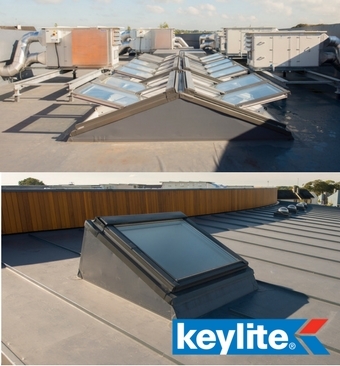 Through Keylite, we can offer you a flat roof system, for those areas where you want a little more natural light but you have a flat roof. 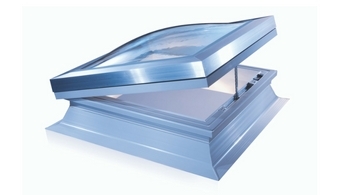 If its not a system you're looking for then we also do a range of flat or curved flat roof windows, from Velux - please ask in branch for details. 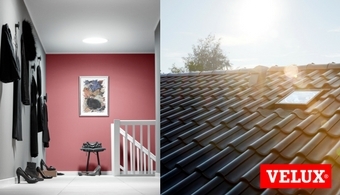 The CABRIO balcony window from Velux, opens in seconds creating a better use of space for you to enjoy in the sun. The innovative balcony adds air, light and sits flush with your roof when closed. Sun Tunnels are a cost effective way of bringing natural sunlight into a room where adding a roof or normal window isn't possible. The highly reflective tube allows light to travel from the roof to an interior space. For more information, please do get in touch with your local branch and they will be happy to assist you with your requirements. 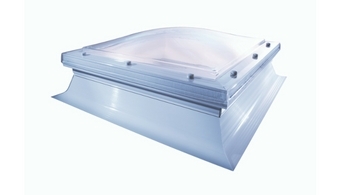 Our dome rooflights can be completely bespoke to your requirements. 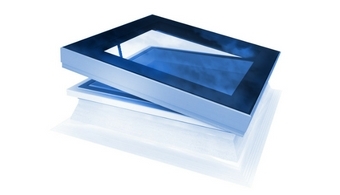 Mardome rooflights for flat roofs provide superior style wth more choice to improve performance than ever. The Hi-Lights range is an off the shelf, easy-to-install, contemporary style of roof dome that has been hand-picked to provide a selection of high quality roof light options in 6 key sizes from 600 x 600mm to 1200 x 1200mm, which satisfy the requirements of most projects. Available in polycarbonate and flat glass. The base of the Mardome range, the Mardome Trade offers a competitvely priced dome unit with a host of additional extras to satisfy a range of product requirements and budget. 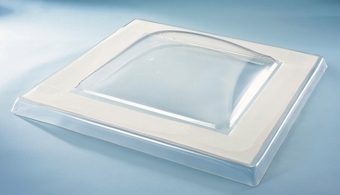 A glazing only unit designed specifically for refurbishment projectrs where glazing only needs to be replaced and can be easily fixed to existing kerbs or upstands. 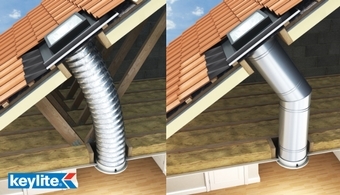 The uinit is supplied with a fitting kit including weathertight washers and cover plugs. Come with a variety of options. 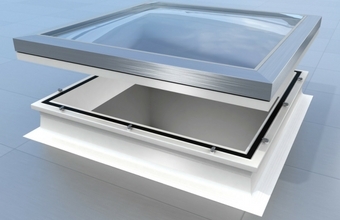 The premium dome rooflight - the architecturally inspire Ultra delivers maximum security due to its secret lock system, with a modern aluminumn frame and concealed tamper proof fixings. The frame can be powder coated to standard RAL colours on request. As the name suggests this is the circular option of the range, which is specified for its distinct styling and character. 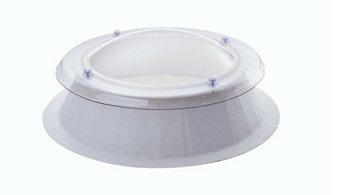 Its available as a glazing only option or complete with a strong robust GRP kerb. Sizes from 600 to 1800mm diameter. 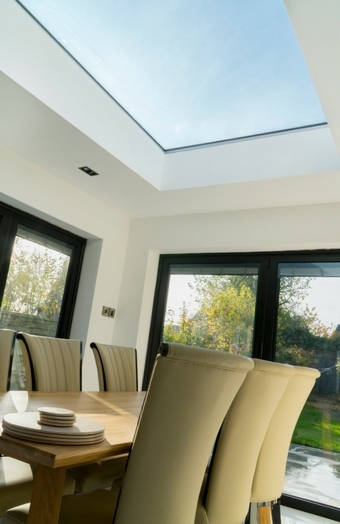 Featuring an ultra-modern flat glass design, Mardome Glass is a thermally efficient double glazed rooflight incorporating a silver anodised aluminium frame, with the option to powder coat, which combines to deliver high end design and the very best standards in security and safety.